The celebration of the 150th birthday of writer and Nazi sympathizer Knut Hamsun receives more international critics. The Wallenberg Foundation strongly expressed itself against Norway. 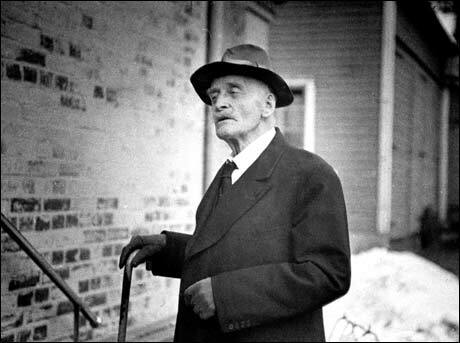 Norway celebrates the 150 years that have passed by since the birth of Knut Hamsun, something that has not gone internationally unnoticed. The birthday was criticized in Israel, by Jewish organizations and now, by the International Raoul Wallenberg Foundation, according to the Israeli journal Haaretz. – It is essential that the Norwegian authorities stop this validation of Nazism and act according to what the world expects from them. If they fail to do so, Norway will have to live up with the consequences of this unacceptable behavior – says Nicholas Tozer, one of the 15 members of the Foundation’s board of directors. In a protest letter, Tozer joins himself to a group of critics composed of prestigious anti-Semitism activists who believe that Norway has been jeopardizing the spread of knowledge and consciousness about the extermination of European Jews during World War II. Recently, Norway took over the presidency of ITF, an organization whose goal is precisely to disseminate such knowledge. The Swedish Raoul Wallenberg saved the lives of thousands of Jewish Hungarians during the last months of the War. He was arrested by soldiers of the Red Army when they took over Budapest from the Nazis. He died some years later in jail.